Woodhaven Place Subdivision on Fegenbush Lane | Louisville, Kentucky | Joe Hayden Real Estate Team - Your Real Estate Experts! The comfortable Woodhaven Place Subdivision is a young neighborhood, a mere decade old. It is nestled in the heart of Fern Creek off of Bardstown Road at Fegenbush Lane. 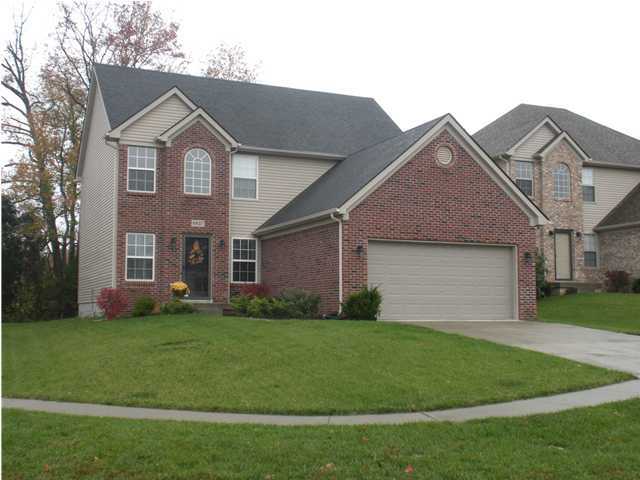 The neighborhood offers a selection of homes with spacious lots and well-manicured lawns. Community members have quick access to the convenient shopping of both Bardstown Road and Hurstbourne Lane, not to mention the ease of expressway access. Woodhaven Place is small in stature, but it offers residents the close knit feel of a small town community. The neighborhood's small size in comfortable seclusion gives it the character to stand out even amongst the shadow of the trees. The designers added well lit sidewalks and inviting green spaces to encourage walks and resident gatherings. Settled long before, but nearby Woodhaven Place, is the historic Inn of Woodhaven, which dates back to 1853 and is recognized by the National Register of Historic Places as a country landmark. The renowned Woodhaven Country Club also sits nearby offering residents membership opportunities. Community members choosing to embark on a membership would find the amenities well worth it. The country club offers members the use of a beautiful cabana bar with entertainment, indoor fine dining, a family pool and a dive pool, 18-hole championship golf course, a 9-hole Par 3 family course and a driving range with practice facility. The community of Woodhaven Place offers perspective residents a bounty of charming reasons to join the community. Woodhaven has history, amenities, security and is a great place to call home. To learn about other great places to live in Louisville, please visit our Louisville Neighborhoods page.